Information about your business, customers and the markets you serve are some of an organization’s most valuable information assets. However, information that is managed in silos and not available or integrated for the enterprise can only offer a fraction of its value. Enterprise knowledge management software powered by Expert System helps companies leverage the full value of all of the information they manage to fuel the most strategic activities including customer engagement, decision making and security and intelligence processes. Expert System offers more than 20 years of experience in supporting companies with solutions for knowledge management. Our enterprise knowledge management software ensures that your enterprise information is accessible (including all content repositories), findable (ensuring that all content is available via search) and intelligent (making it available for decision making and strategic planning and for other applications). 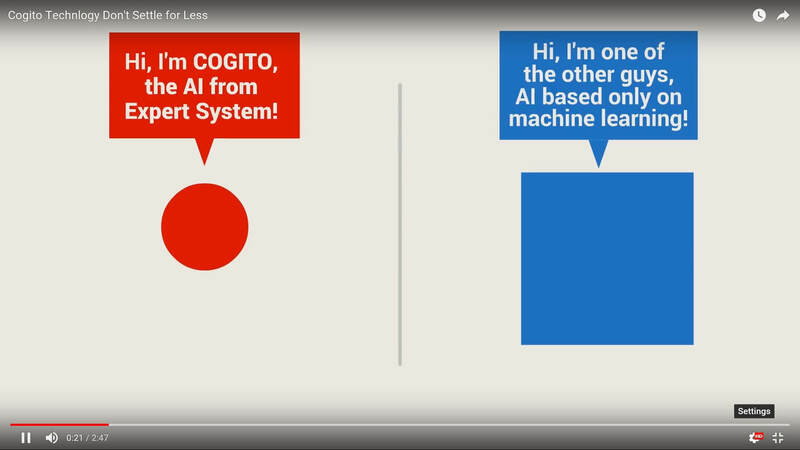 Artificial intelligence at the heart of Cogito makes knowledge discovered in text actionable because it understands the meaning of words and expressions in context. As a result, our enterprise knowledge management software dramatically improves your ability to discover value in text content and make it available. Ensure that your information is accessible and available so that all of your assets and systems can take advantage of unstructured content. Discover new insights and extract important information in real time. Based on the Cogito cognitive technology, Cogito Discover is an enterprise knowledge management software that applies text mining to discover connections between information from a variety of sources, creating a repository of the most valuable pieces of information to be searched and processed.Cogito Discover provides linear scalability with virtually unlimited processing capacity, supports different languages; it leverages a rich, out of the box, domain independent knowledge graph with millions of concepts and relations between concepts. Cogito Discover is ready for integration through our Cogito API and through integration layers available for many applications such as Microsoft Sharepoint, Marklogic, Salesforce, Cloudera and Google Search Appliance.